OTONEWS - British luxury car manufacturer, Bentley Motors Limited, hinted to be more focused on the luxury sports car with two seats. Manufacturer based in Crewe, England, was determined to keep it out with Aston Martin, Ferrari and McLaren. To realize that determination, Bentley intends poured two-seat sports model. One of them, still a concept on display at the Geneva Motor Show in 2015, EXP 10 Speed ​​6. 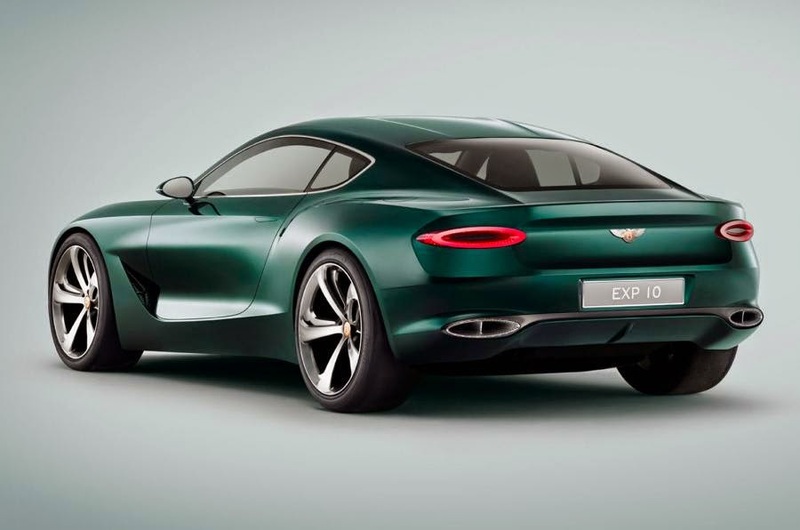 "It (EXP10 Speed ​​6) is one of Bentley's vision of the future," said Chairman of Bentley, Wolfgang Durheimer. "This concept has the potential to become a market leader two-seat sports car," he said. According to him, if it was not just a car manufactured menaswarkan mere luxury, but also an outstanding engine performance. The possibility that the car carrying the 4000 cc V8 engine that powered 500 hp. With that much power, the production version is expected EXP10 Speed ​​6 runs at 320 km / h.
Durheimer claims, overall, the design EXP 10 Speed ​​6 is affected by the aerodynamic shape of the aircraft. Short front overhang, long bonnet, low grille and rear wide, designed to maximize the performance of the car. No Comment "Bentley EXP10, Challenger Ferrari and Aston Martin"